Located in the exclusive Petit Village area of ​​Zermatt, with arguably the best possible views of the Matterhorn. With the Sunnegga lift a mere 3 minutes away and the center of town on the road, it is also accessible to the slopes and restaurants in town. 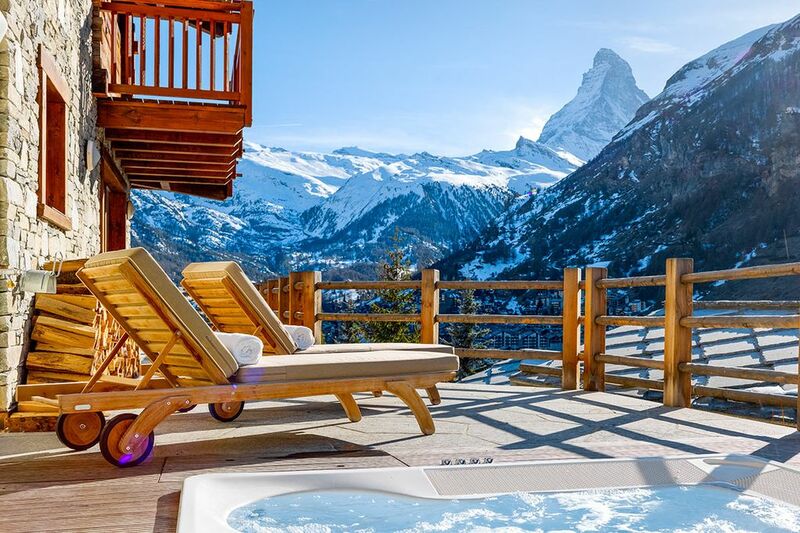 The Chalet offers an exceptional balance of privacy and resort-like amenities, including spa facilities, an outdoor hot tub, and ample lounge and dining areas, while being ideally positioned for breathtaking views of the Matterhorn. Six king bedrooms (plus additional sleeping area with a seventh king bed).